Our recommendation for the best hand tiller is the Garden Weasel Garden Claw Pro. Tilling your garden with a hand tiller versus a power tiller allows you to remove weeds completely to give your plants a good start without unnecessary competition. As you till the soil, you can also add organic matter and other supplements to give new plants a burst of nutrients to spur new growth. Tilling your garden sets the stage for a successful harvest. 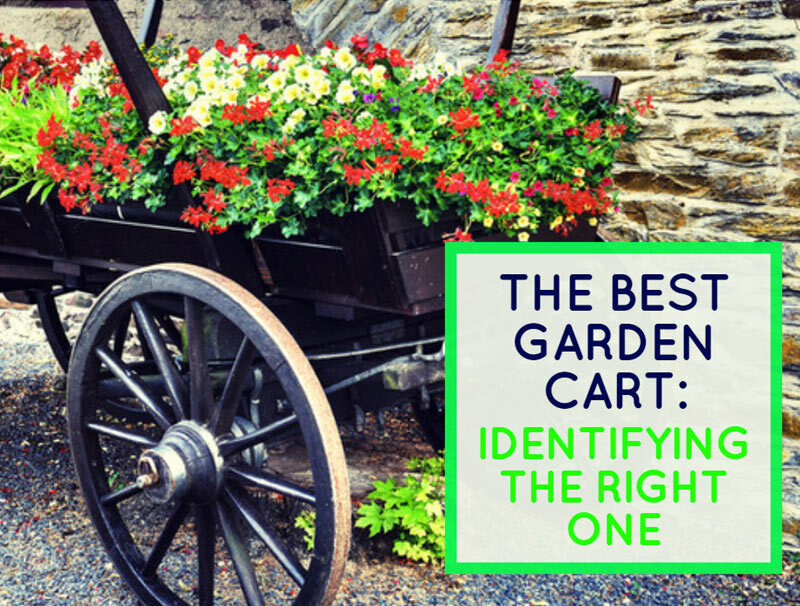 While one of the tougher gardening tasks, the benefits cannot be overstated. Your goal is to create the ideal setting for your plants. That means soil that is well worked so roots can penetrate easily. It also is a time to prepare the soil with nutrients and other additives as well as clearing any obstructions. Photo by Unsplash licensed under CC0. Tilling a new garden will take more work than an established bed though some basic principles apply to both situations. Your task is to break up clumps of caked soil that can make it difficult for roots to penetrate. It is also essential if you’re planting root vegetables like carrots so that they grow properly. If a growing carrot encounters a rock, it’ll become crooked or malformed. As you use your hand tiller, you can remove rocks, roots, and other debris. If you’re creating a garden for shallow-rooted plants, you might only need to go down about six inches. However, for most vegetable plants, you should plan on tilling one to two feet down. If you intend on using this space for subsequent years, the real hard part is this initial tilling. Tilling offers an excellent opportunity to work additives or organic matter into the soil. Breaking up clumps of earth allows you to mix them more thoroughly into the soil for a more even distribution. You can either till to the desired depth and work them in as you go, or you can remove the topsoil and add supplement into the deeper portions first. It’s important to work nutrients and additives through the entire section of tilled soil. When you do this, you will encourage roots to grow deeper for healthier plants. Hand tilling makes it easier by aerating the soil and making it less dense. Because you’re freeing up space, your garden beds will need time to settle before you begin planting. This video by Southern States Co-op walks you through the process of tilling a garden from site selection to planting. While the workload is quite a bit more, you’re better off using a hand tiller rather than a power tiller or a rototiller. First of all, there is the cost. A power tiller is going to set you back at least a couple hundred dollars. And if you don’t have a large space, it is overkill. Some people may find a power tiller too heavy to handle. But there are other reasons that a hand tiller tops a rototiller. Second, there are the weeds. Now while it may seem like a good idea to plow them over, you are essentially setting up your garden bed for a takeover of weeds. Remember, weeds tend to be aggressive, opportunistic plants. When you dice them up with a power tiller, you’re creating a bunch of weed cuttings from each plant. A better way to tackle weeds in a new garden bed is to pull them by hand. When you take this approach, you can remove the entire plant without creating new ones to overrun your garden. A power tiller chops off the top of a weed but can leave the root intact. If you’ve ever struggled to pull a long dandelion taproot out of the ground, you can appreciate how hard it can be. And finally, a power tiller may have a hard time going deeper into the soil after its initial run. With a hand tiller, you can get down to the necessary depth for the plants you’re planning on putting in your garden. If your garden has heavy clay soils, tilling will be tougher work. So, even though it’s a tough task, the old-school way works best in the end. You will find both short-handled and long-handled tillers—and some in-between. Either style will do the job. However, you might find that the long-handled hand tiller will serve you better if just to avoid the added back strain. It also offers the advantage of being able to leverage some more power behind your tilling which will be important in newly-tilled beds. The business-end of a hand tiller includes tines that may be curved or in pairs of twisted tines or claws. The more tines your hand tiller has, the more soil you can turn over at each pass. A set of tines has the advantage of tilling without you twisting your torso to prevent back pain. It’s one of those little features that you will certainly welcome after a hard day of hand tilling. You can change the configuration of the tines with some models depending upon the job. This feature makes it more versatile and usable in a variety of situations including narrower places between other plants. You can use this type of hand tiller in both new and existing garden beds.The other thing to consider is the plate above the tines. Some models include a foot plate so you can put your weight behind your tilling. It can make your job easier and more efficient. But the feature you should examine is the handle of your hand tiller. Hand tilling isn’t a fast job by any means. A tool without a comfortable grip is inviting blisters and wrist strain. Take a moment to make sure your hand tiller has a cushioned handle. Given a choice, we prefer a long-handled hand tiller for ease of use. And with any tool purchase, the choice of a multi-purpose one makes it a better investment. A lightweight tool with a comfortable handle will make easy work of this job or any other task. You’ll likely find that it’s the little things that make a big impact. At 38 inches in length, the Garden Weasel Garden Claw Pro means no bending over to work the soil in your garden. The ability to reposition the tines means that it can serve many functions in your garden in addition to tilling, such as cultivating or uprooting plants. And a comfortable handle reduces the risk of painful blisters and sore wrists. While time-consuming and sometimes arduous, hand tilling your garden is the way to go to aerate and work over the soil in preparation for new plants. Using a hand tiller over a power tiller allows you to weed by hand and prevent spreading weed cuttings to give your garden an excellent start toward a fruitful harvest for years to come.